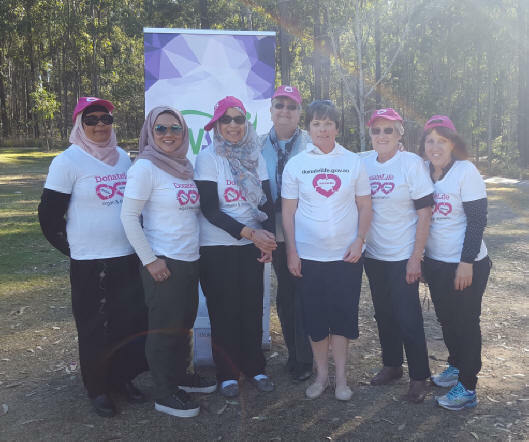 On Saturday 5 August 2017, the Islamic Women�s Association of Australia (IWAA) officially launched the DonateLife Week (a campaign to promote organ and tissue donation) at its Community BBQ at Karawatha Forest, Karawatha. This DonateLife Week, we urge all Australians to make their donation decision count by joining the Australian Organ Donor Register at donatelife.gov.au. Thanks to a new registration process, it is now faster and easier than ever to register your donation decision on the Australian Organ Donor Register (AODR). Visit donatelife.gov.au and you can register in just minutes. Registration counts, with 9 in 10 families agreeing to donation proceeding when their loved one is a registered donor. Once you�ve registered your donation decision, share your decision with family and friends and encourage others to register to save lives today. With around 1,400 Australians currently on transplant waiting lists, and a further 12,000 people on dialysis, we need to optimise every donation opportunity to save more lives. Share your registered decision on social media this DonateLife Week, using #makeitcount and #donatelife. Make your decision count this DonateLife Week by joining the Australian Organ Donor Register at donatelife.gov.au, and sharing your donation decision with family and friends. Visit www.donatelife.gov.au to register online today. It�s a decision that could one day save lives. Aboriginal Elder Aunty Kerry Charleton welcomed everyone to the local area. Also in attendance to support this important awareness campaign was State Member for Stretton, Duncan Pegg, Former State Member for Woodridge Desley Scott, Queensland Police Commissioner Ian Stewart, Cross Cultural Police Liaison Office Sergeant Jim Bellos, key community advocate Adam Obeid, ACCESS Services CEO Gail Kerr and Queensland Multicultural Advisory Council Member Serge Voloschenko and his wife Anna. 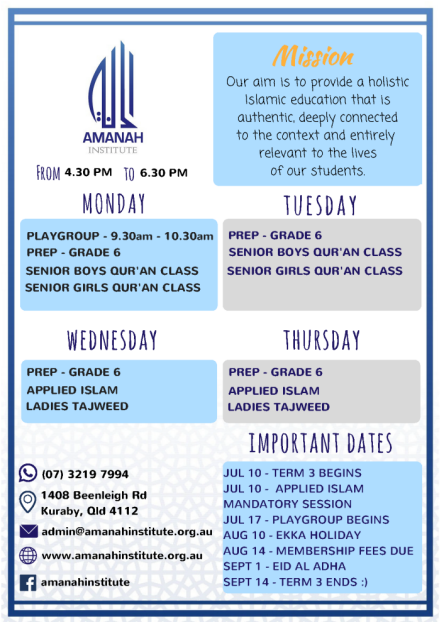 Vacancies have arisen for volunteers to take Islamic Religious Education classes on Friday mornings at Runcorn Heights State School, 200 Nemies Rd, Runcorn. Flexibility exists on which classes and times could be taught. 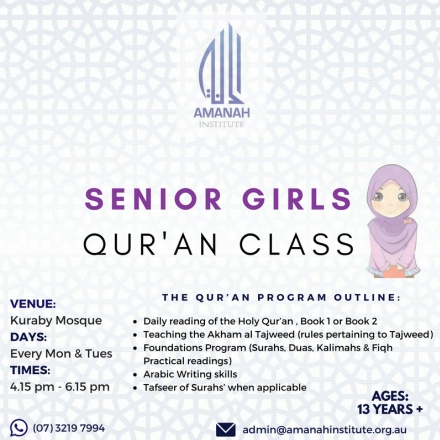 If you are interested in the role, please contact Daud Batchelor (0413 067 160) or Aisha Dennis (0402 438 077) for further information. Twenty riders took part in The Big Ride last weekend from Brisbane to Byron Bay, in glorious weather. The aim of the ride marking the 50th anniversary of Israel�s military occupation of the West Bank and Gaza strip (the Occupied Palestinian Territories) in 1967, was to raise awareness of the plight of the Palestinian people and also raise much needed funds for a Hebron Children's education project through APHEDA. Donations far exceeded the initial target. The ride took place in parallel with the Big Ride UK. 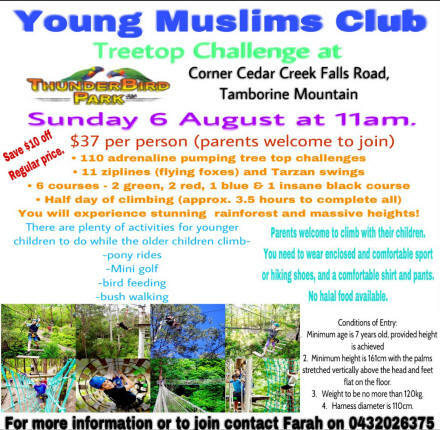 This Australian ride was coordinated by Manal and Rosa Monsour and took five months to plan. One of the participants who also assisted with logistics, David Forde, described the event as "One of the most inspiring well organised ventures I have been on, where we stuck together as a team and finished as a team. I have no doubt that with this being the first year, next year will be even bigger." "But is was also the good-will that was clearly on display from members of the public who engaged us on route." Another Kuraby local (one of many from Kuraby) Osman Khan (pictured right) said, "Initially I was a little apprehensive about doing the ride but the Palestinian cause demanded of me to do it. I am so glad I did. The experience will be treasured for the rest of my life. I met some wonderful people with so much understanding and empathy for the Palestinian people. 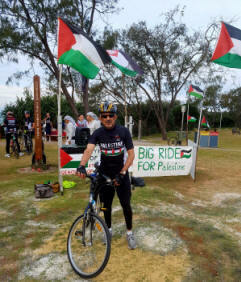 The Palestinian reception in Byron Bay at the end of the ride was a very emotional and heart warming experience for me. Inshallah I will attempt the ride again next year." 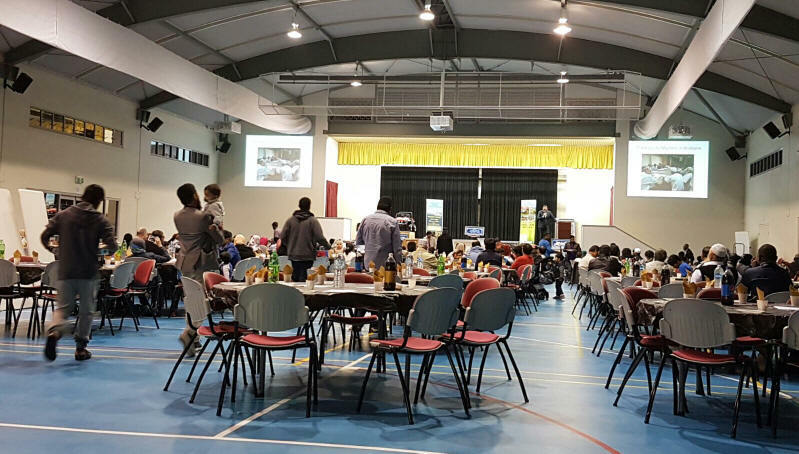 After collating all donations, pledges and expenses of the fundraising dinner in Brisbane on Saturday night, Secretary of Islamic Society of Toowoomba, Dr Mainul Islam announced that the total donations and pledges of the night amounted to $127,535. 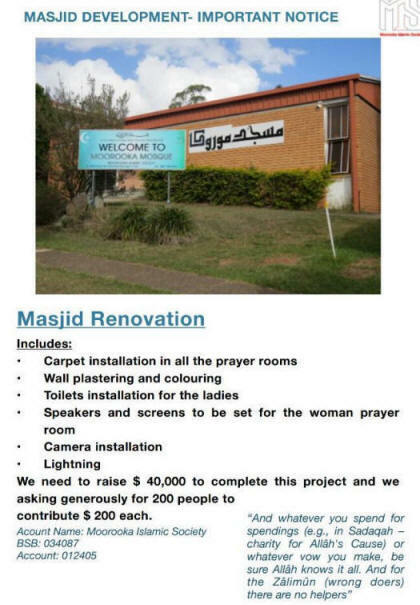 After deducting the expenses of $17,574, this left a net contribution of around $110,000 for the Mosque to use for its re-building initiative. 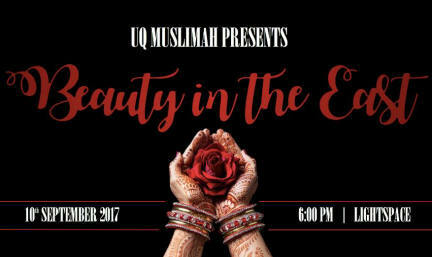 "On behalf of Muslims of Toowoomba I express our deepest gratitude to everyone who helped make this success happen," Prof. Shahjahan Khan said. "Our target is $890k and so far we have collected $250k. 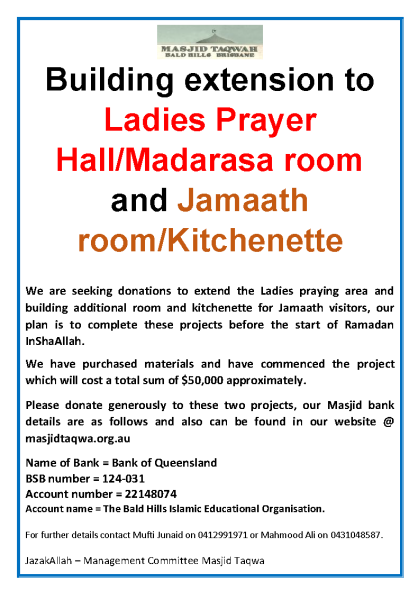 In Shaa Allah, we will continue fundraising until the target for the project is achieved." The Australian Federation of Islamic Councils (AFIC) is seeking a full-time CEO. 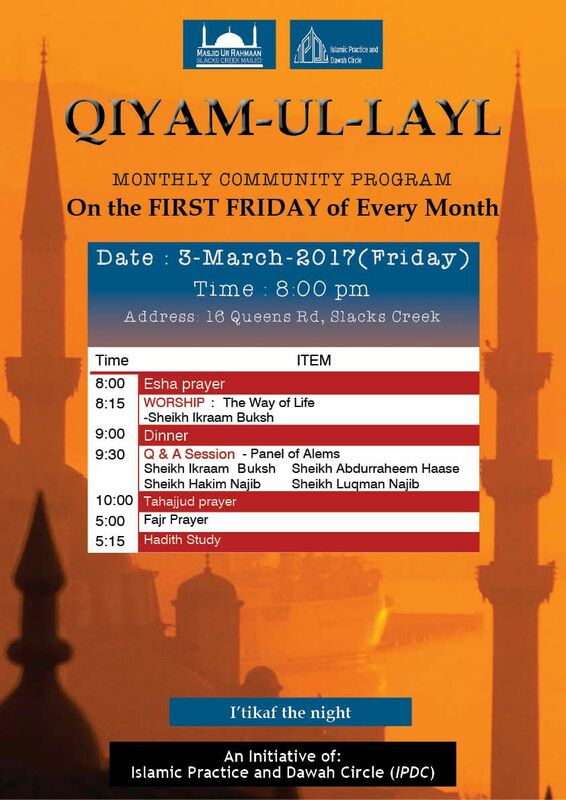 AFIC is the peak national body for a wide range of Islamic groups and organisations. The role of the CEO will require appropriate levels of professional qualifications and experience to provide leadership, vision and business management of the organisation. This position will be responsible and accountable for providing high level advice and assisting AFIC with strategic planning, building and maintaining the reputation of AFIC with community stakeholder groups and wider society, and managing the internal and external operations of the organisation. Applications close by Friday 1st September. 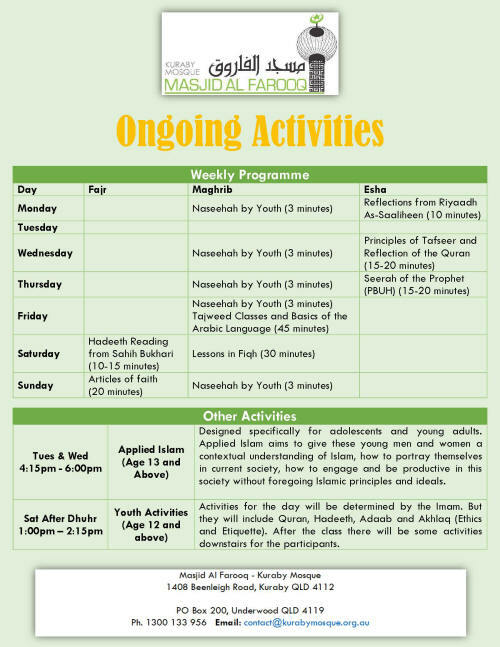 Please express your interest to jobs@afic.com.au. 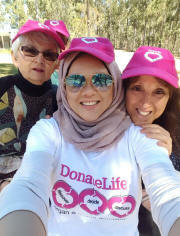 Ms Heba Allouche of Griffith University won her category and will be formally recognised in September at the Australasian PASS and Peer Learning Conference in Melbourne. PASS stands for Peer-Assisted Study Sessions. It is a peer facilitated, cooperative student support scheme for all students operating in most core units of study. 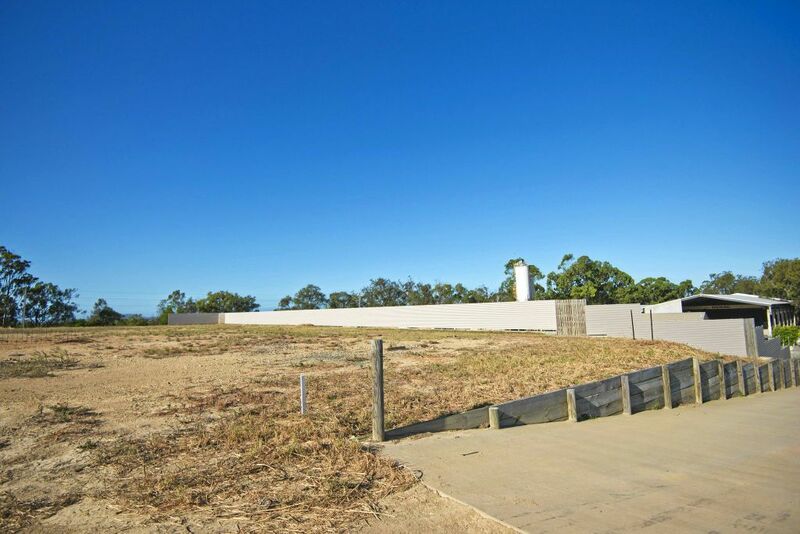 Barro Group has appealed the proposed construction of the Gladstone mosque at this site. CONCRETE company has begun legal action against the proposed Toolooa mosque, fearing the consequences of more children on a road dominated by heavy vehicles. 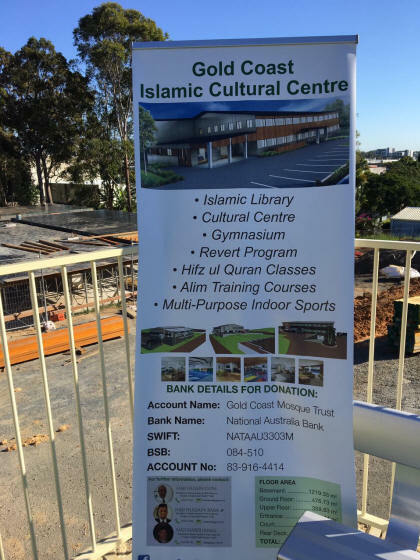 Quarry and concrete company Barro Group owns Gladstone Premix Concrete and it has lodged an appeal against Gladstone council's approval of the mosque in Brisbane Planning and Environment Court, claiming the approval is in breach of local planning laws. 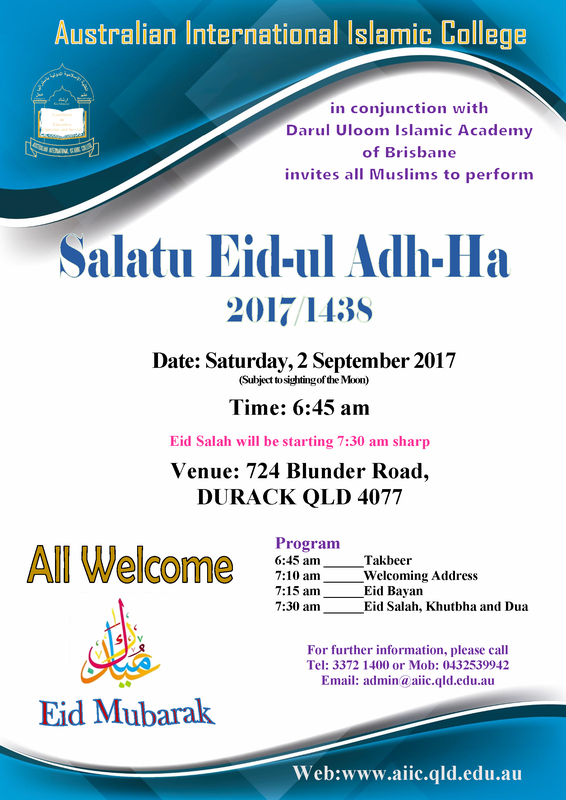 The Islamic Society of Gladstone proposed to build the mosque at 4 Anson Close, Toolooa; next door to Barro Group's concrete factory. 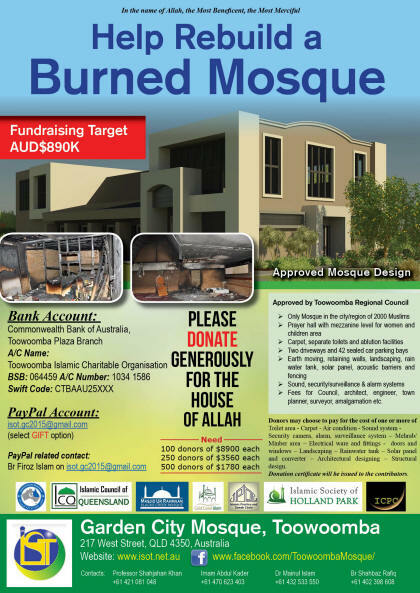 In court documents, Barro Group, a Victorian company, states the mosque's approval was "in direct conflict" with the council's planning scheme, incompatible with the land's low-impact industrial zoning and with a nearby residential area. 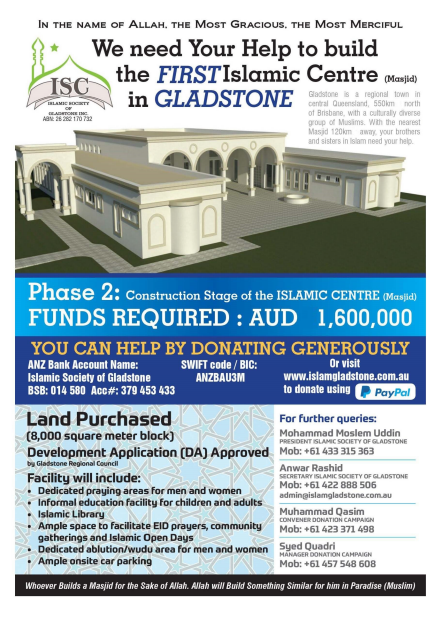 "The council's development approval is invalid and of no effect and the court has no jurisdiction to approve with development application as the (Islamic Society of Gladstone) has not complied with ... provisions of the Sustainable Planning Act 2009," Barro Group's appeal states. "The proposed use ... is incompatible with the low impact industrial zoning of the land; and is incompatible with the Toolooa Priority Development Area (residential) west of the land." The document states the mosque's development application has failed to consider the impact it will have on traffic flows or the increase of children on a road that was dominated by heavy vehicles. "The development application fails to properly assess the impact of the non-industrial land use to the adjoining industrial land uses in the locality." 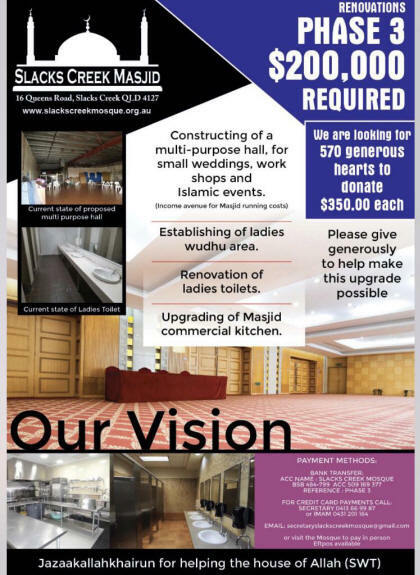 Barro Group is seeking the court refuse the mosque's approval and for the council and Islamic Society to pay costs. Neither has lodged a response to Barro Group's notice to appeal. Barb Smith, treasurer of the community group Gladstone Region Safe Communities, said she was "really pleased" to hear a business was proceeding with the appeal. "We are just going to support them." Jamila Rizvi is an author, presenter and columnist. Her first book, Not Just Lucky, which is a career manifesto for millennial women, was published by Penguin in June 2017 and debuted on several major best-seller lists. Former Prime Minister Julia Gillard has called it, �feisty and inquisitive, a fresh take on modern feminist issues.� Jamila�s second book, an anthology of essays about new motherhood, will be released in 2018. 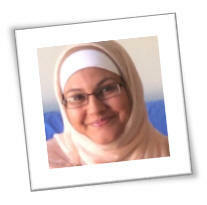 Jamila writes a twice-weekly column for News Limited about politics, gender and parenting. Her work appears on news.com.au, kidspot.com.au and whimn.com.au She is an accomplished host and commentator, appearing regularly on The Project, Today and The Drum. Jamila is also host of �The Schmunday Show� on Fox FM in Melbourne. 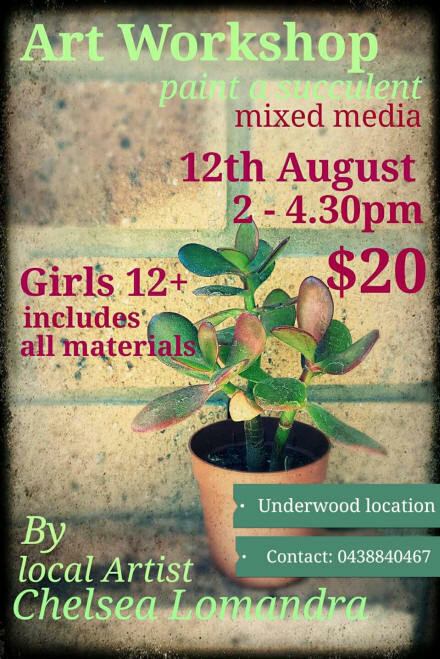 Jamila is the former Editor-in-Chief of the Mamamia Women�s Network websites. She was a finalist for Best Newcomer in the 2014 Women In Media Awards and under her stewardship Mamamia was named �Brand of the Year� in 2013. 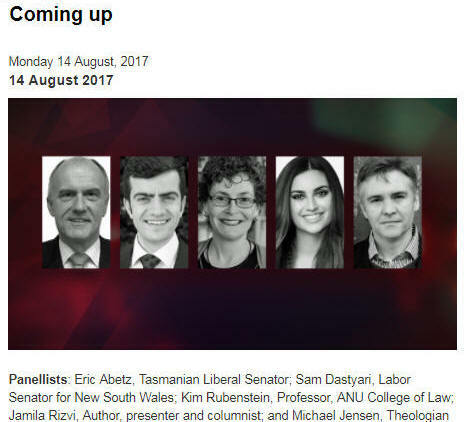 Prior to entering the media, Jamila worked in politics for the Rudd and Gillard Governments, advising on media, politics and policy. 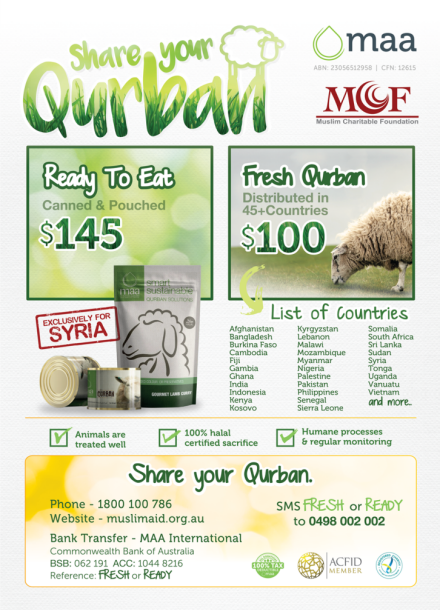 She is an Ambassador for CARE Australia and refugee advocacy group Welcome to Australia. 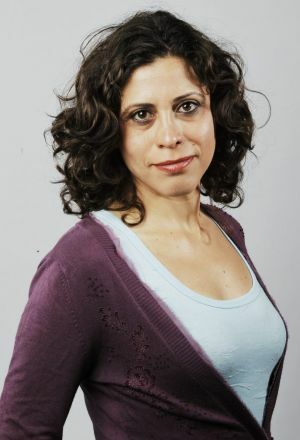 She is a board member for public policy think tank, The McKell Institute and the Melbourne�s Writer�s Festival. In 2014 Jamila was named one of Cosmopolitan�s 30 Most Successful Women Under 30 and in 2015, was listed as one of Australia�s 100 Women of Influence by the Australian Financial Review. In 2017 she was included in the Weekly Review�s top ten list of young rising stars in Melbourne. 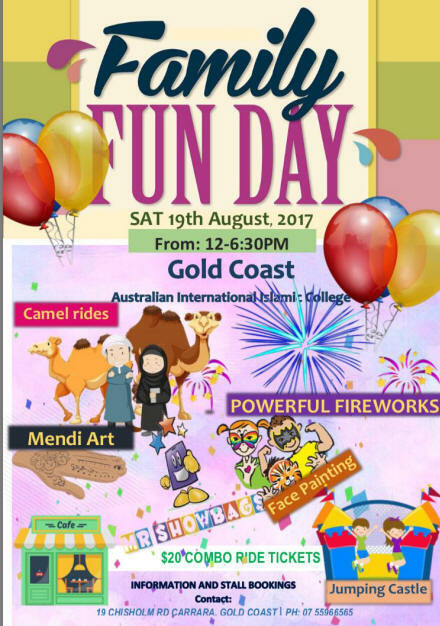 Jamila studied at the Australian National University, where she was the student body president in 2008. Jamila holds bachelor degrees in law and commerce and was named Young Alumnus of the Year in 2014. She lives in Melbourne with her husband Jeremy, toddler Rafi and a lot of washed but regretfully unfolded washing. NSW Labor Senator Sam Dastyari's rise through the ALP's ranks suffered a setback in 2016 when he had to resign from the Opposition front bench when it was discovered he had used foreign ALP donors to pay for a travel expense and a legal bill. One of the Parliament's most colourful and energetic younger members, he recently published his first book, One Halal of a Story (italic). Sam was born in a small town in Northern Iran, and with his family migrated to Australia as a young child during the Iran/Iraq war in 1988. He joined the Labor Party following the republican referendum in 1999. Before entering the Senate Sam developed a high public profile as NSW State Secretary of the Australian Labor Party from 2010 to 2013. 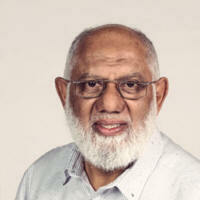 He is an outspoken advocate for multiculturalism and has a passion for social policy and economics. Sam is married to Helen and together they are raising their two young daughters, Hannah and Eloise, in Sydney. USING FOOTY AS A WAY TO CONNECT WITH HIS COMMUNITY came pretty naturally to Saad; after all, it worked for his family. His father, Zaf, immigrated to Melbourne from Lebanon as a boy and quickly became hooked on that city's sporting obsession. He met his wife, Nejma, after she arrived from Lebanon as a teenager. 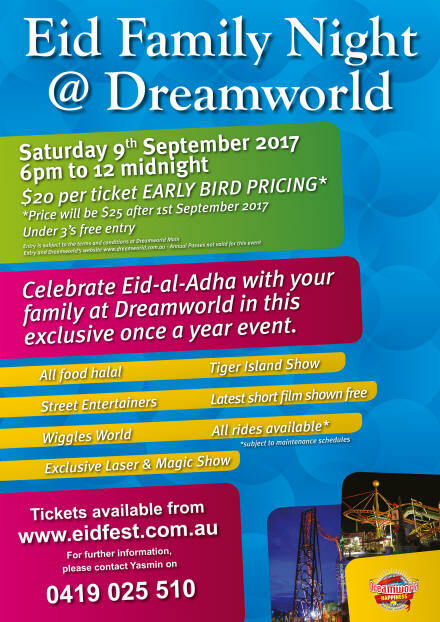 The whole family - daughters Khadijah, 28, Fatma, 27, and Aicha, 24, and sons Adam, Muhammad, 18, and Noah, 13 - are footy tragics. Muhammad is in the Suns' talent academy and hopes to be drafted, while Noah is a Geelong fan who probably has more Gary Ablett signatures than any kid in Australia. As a boy in suburban Brunswick in inner Melbourne, Saad found the Sherrin served as a leather-bound passport into Australian society. "I was a pretty shy kid and footy broke down social barriers for me," he says. "l'll be honest, I was nervous when I first rocked up here at the Suns too, but in the first 10 minutes my whole world changed, they embraced me. Footy does that; they don't see me as different because I pray five times a day and I fast." 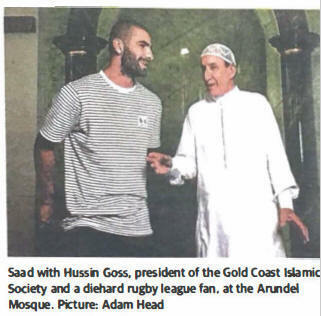 Hussin Goss is the president of the Gold Coast Islamic Society and a diehard rugby league fan. The day we visited the Arundel Mosque in the city's north he was still crowing over the Maroons' State of Origin victory. Australian football is a mystery to him but the power of sport is a language he understands. He played a key role three years ago in helping Saad, then 20 and away from home for the first time, settle on the Gold Coast and says in the years since, the unassuming young Sun has more than returned the favour. "He is a man of great faith, that is the number one thing, but he is also very community-minded, and he does terrific work with the youth," Goss says. 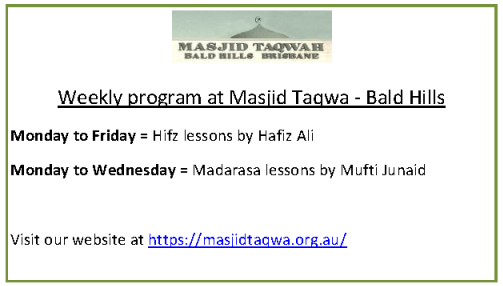 "He's spoken to our mosque many times. 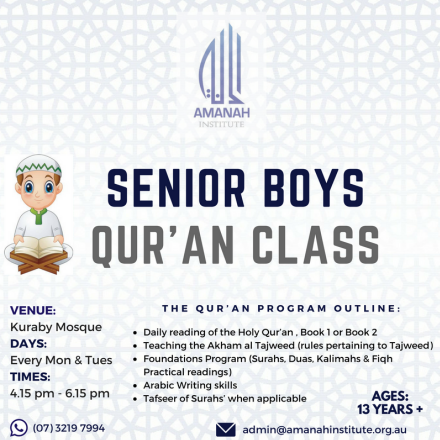 We don't have a lot of elite sportspeople - we have one in cricket, (Test batsman) Usman Khawaja - but as a Muslim community we are honoured and proud that these boys have reached this level in their sports." 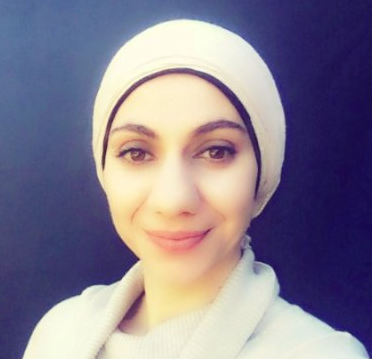 ICV: "Today's #25MuslimWomen - Dr Zuleyha Keskin of Islamic Sciences & Research Academy Australia (ISRA) is a powerful thinker and leader in academia as well as our communities. 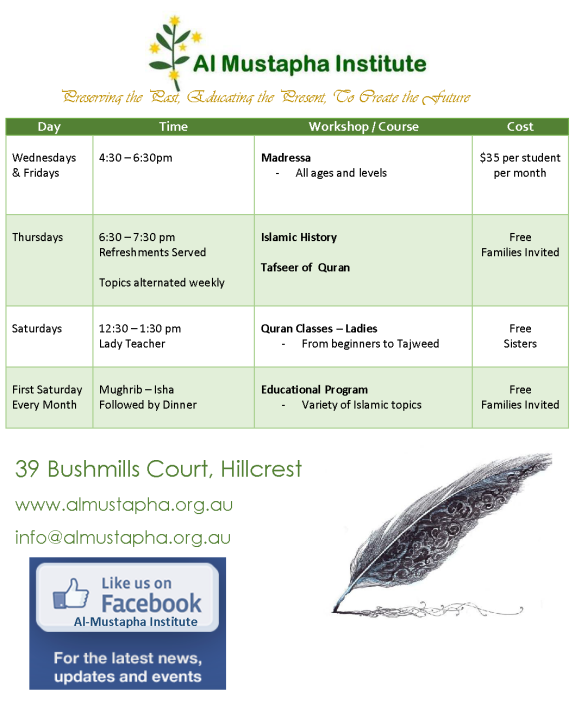 Sister Zuleyha co-established the first Bachelor of Islamic Studies course in Australia and continues to empower and promote Islamic faith, culture and thought. We are proud and honoured to share her story with you"
Muslims today play the role of fire fighters clearing any misconceptions about Islam like a fire fighter would to flames. Islam is no doubt one of the most misunderstood religions on the face of this planet today. 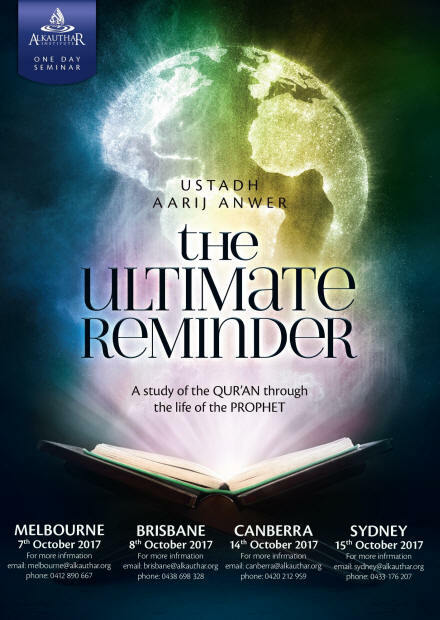 A simple stroll through one�s newsfeed is bound to be filled with people speaking either for or against Islam and in most instances such discussions are fueled with misunderstandings and misconceptions about Islam. We�ve compiled a list of the most frequent misconceptions we�ve come across throughout our travels on social media. We�ve also broken them down to shed light on the reality of such views. A disturbing problem often encountered in contemporary financial practices is the manner in which people incur debt through a coterie of easy and sometimes absurd means. These include: lure of easy pay-day loans; credit card issuance; margin lending; credit union lending; in-store credit and loyalty programs, and �loan sharking�. While some personal debt (such as housing loans) may be genuine, others are purely unnecessary and frivolous. They often originate at one extreme from: peer pressure and societal demands occasioned by changing lifestyles; over-capitalised homes; social occasions and events (aka lavish weddings and parties) to the destabilising and highly frowned extreme of gambling, Ponzi, and highly speculative investment schemes. 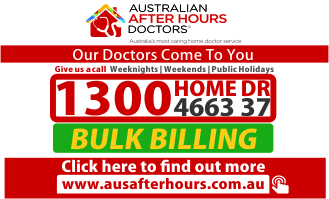 To the extent debtors rationalise their payment future obligations will be met from some anticipated present illusory windfall or unexpected gain (lotteries and pokies), regular and genuine supplementary income (e.g. investment income) may be insufficient to service all their debt obligations. Compounding the debt problem are unexpected losses and income disturbances such as sickness, physical incapacitation and retrenchment. In short left unpaid, debt compounds further through interest charges, penalties and legal costs. In relation to commercial practices, a further debt layer is that accumulated through a myriad of borrowing practices and schemes contrived through complex legal stratagems that often go beyond the credit worthiness and repayment capacity of the business. All this makes for a toxic soup when the underlying debt is unable to be serviced or repaid. According to the Australian Marriage Equity website the demand of the LGBTQIA group is the following: We believe a person�s gender or sexuality should not affect their legal rights and responsibilities under Australian marriage law. Our approach to achieving marriage equality is through lobbying, advocacy and education. The issue from their point of view is achieving legal rights and responsibilities. As citizens, if the state wants to recognize them the legal right, they should enjoy the rights within the legal system. Why would it require �marriage equity?� I believe the phrase �marriage equity� is misleading and deceiving as it uses the word �marriage� wrongfully and totally against what marriage has been known since the inception of human creation. Followers of all faiths including Jews, Christians and Muslims, believe marriage was instituted and ordained by God for the lifelong relationship between one man as husband and one woman as wife. They consider it as the most intimate of human relationships, a special gift from God, and a sacred institution. It is a gift of God, and the sacrament of matrimony is intended to perfect the couple's love and to strengthen their indissoluble unity. By this grace they help one another to attain piety in their married life and in welcoming and educating their children. In the two-and-a-half decades between the publication of his groundbreaking book Orientalism and his death, Edward Said spent considerable energy rejecting claims that his work is a defence of the �real� Islam. Such an assumption, he wrote, �would simply be repeating the errors of Orientalism�. Said, who was avowedly secular and suspicious of religious movements, emphasised his critique as one that sought not to determine the correct view of Islam and the orient, since it was far too diverse to be distilled in such a manner, but to deconstruct it as it appeared in the Western imagination. More than a decade after the death of the Palestinian-American academic, and nearly four decades after Orientalism spawned postcolonial studies, orientalism is still being misused and misunderstood, this time by the discourse around Islamophobia. For several months now, perhaps more, I�ve been suspecting that our discourse on Islam and anti-Muslim sentiment is, if not wrong exactly, then certainly incomplete. 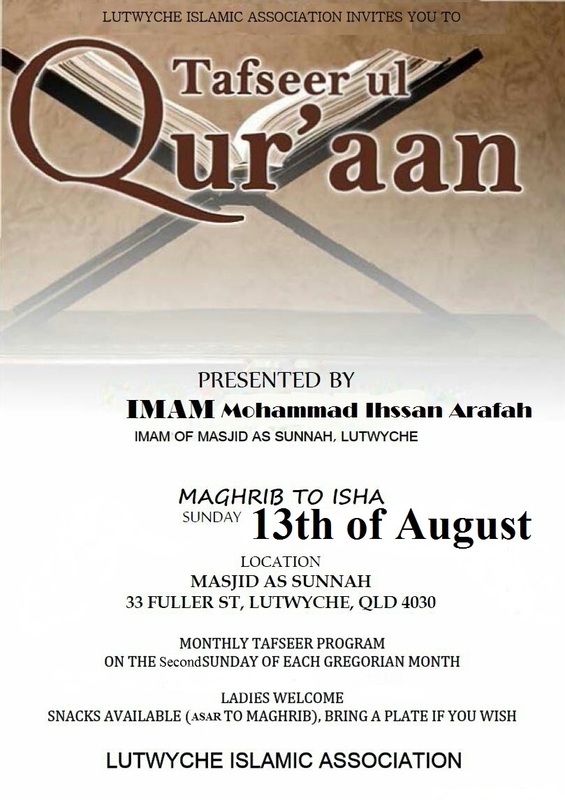 As incidents of casual and institutional bigotry against Muslims and Arabs rise, so, too, does the defence of Islam itself � as opposed to the defence of Muslims targeted by this bigotry � as if by pointing out what Islam is and isn�t, this bigotry could be curtailed. There are two main problems with this. 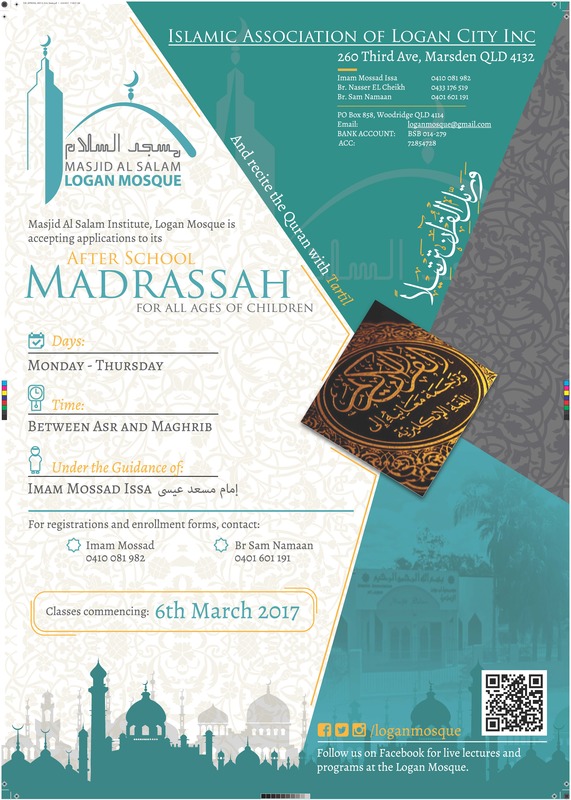 The first being, how do you defend and define the �real� Islam when it is not a singular religion but a collection of differing interpretations, often in conflict with one another? The second is that focusing on defending Islamic theology and practice sidelines secular Muslims as well as non-Muslims who live in the Arab and Muslim world. 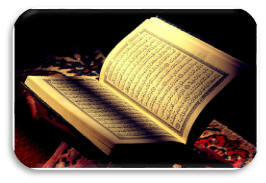 I�ve been writing about Islamophobia for several years, and with one or two early exceptions attempted to do so not to defend Islamic theology or practice but from a perspective of challenging Western, and other non-Muslim, assumptions and expectations of Islam. That is to say, by challenging the foundations of how the West talks about Islam rather than the increasingly dangerous practice of defending the �real� Islam. But Nolan�s erasures are not limited to the British. The French army deployed at Dunkirk included soldiers from Morocco, Algeria, Tunisia and other colonies, and in substantial numbers. Some non-white faces are visible in one crowd scene, but that�s it. The film forgets the racialised pecking order that determined life and death for both British and French colonial troops at Dunkirk and after it. But why is it so important for Nolan, and for many others, that the film expunge all non-white presence on the beach and the ships? Why is it psychologically necessary that the heroic British troops be rescued only by white sailors? What would change if brave men fighting at Dunkirk wore turbans instead of helmets? What would alter if some of the soldiers offered namaaz on the sands before rising to face the advancing enemy for that one last time? Why is it so important that the covering fire be provided by white French troops rather than North African and Middle Eastern ones? Those non-white faces I mentioned earlier � they were French troops scrabbling to board British boats to escape. The echoes of modern politics are easy to see in the British-first policy of the initial retreat that left French troops at the mercy of the Nazis. In reality, non-white troops were at the back of the queue for evacuation, and far more likely to be caught and murdered by Nazi soldiers than their white colleagues who were able to blend into the crowd. TOPIC: "Lessons from the lead up to the murder of Uthmaan"
TOPIC: "Hajj: importance & benefits"
TOPIC: "Two Dua�s for the heart"
ENGLAND: A group of Muslim volunteers who have been cleaning Birmingham's rubbish-strewn streets have been branded "scabs" by left-wing newspaper the Morning Star. The "Bearded Broz" took on the task of cleaning up after a strike by workers at Birmingham City Council left bin bags uncollected. But the socialist newspaper criticised the community group for breaking the strike. 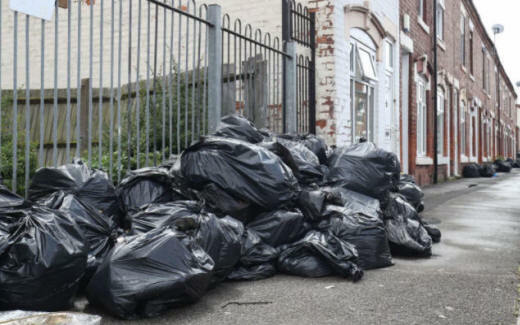 A story published earlier this week said: "A dispute over in Birmingham continues after a "scab army" of volunteers has been cleaning up piles of rubbish. "The community group, known as Bearded Broz, are encouraging people to join their scab operation as they undermine the strike by Birmingham City Council refuse workers over job losses." The group, from the Small Heath area of South East Birmingham, were first interviewed by the Birmingham Mail last week. In a video on the Mail's website the group could be seen collecting bin bags from outside houses, which they drove to a local tip. A spokesman for the group told the newspaper: "If Birmingham City Council is watching or listening, then we're doing your job that you're supposed to be doing. "We're not here to have a fight with you, we're here to work with you, and if you want to help us, get in touch with us, we'll provide the manpower if you provide the vehicles. "We're not here to cause antagonism, we're here to work together with all the authorities because at the end of the day we as residents of this area have to live with the stench." 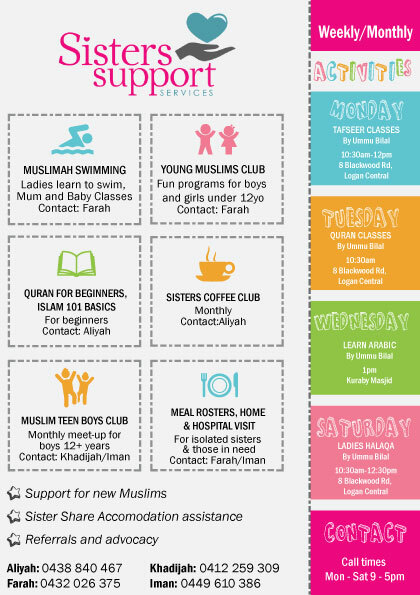 He added: "We're all volunteers, all these guys here, because we want to help our community, and as Muslims we feel it's really important that we do that. We want the world to see what we're doing as well." Speaker of Parliament Halimah Yacob (centre) says she will run for President in the upcoming election. SINGAPORE: Explaining that she had done �extensive consultations� with family and close friends over the past weeks, she acknowledged that the role is a �very heavy responsibility� and she had to �take into consideration my current responsibilities and what will become of them�. �A president should unify the nation, and channel our shared values into doing good for the country, and wholeheartedly serve Singapore and Singaporeans. �This is the kind of President I would like to have. �This is the kind of President I would like to be,� she wrote. She will hand in her resignation on Monday (7 August) from her official duties and positions, including her office as MP for Marsiling-Yew Tee GRC. She will also quit the People�s Action Party. 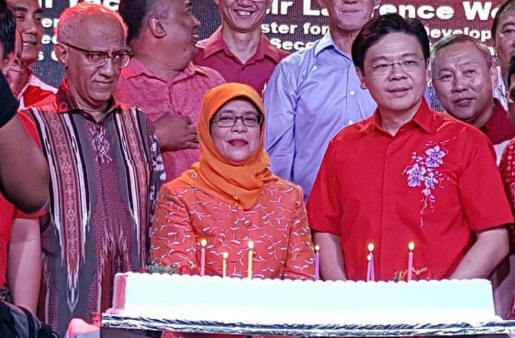 Halimah added that she had dedicated her life to serving the people for the past 40 years starting with her work at the National Trades Union Congress, and later as a Minister of State and Member of Parliament. Her key concerns continue to be workers� rights, helping the elderly and helping disadvantaged families. A member of the Dar Al-Farooq Center in Bloomington, Minn., shows the damage done to the office of the mosque's imam after a bomb was thrown into the facility early on Saturday, Aug. 5, 2017. A fire erupted by no one was injured. 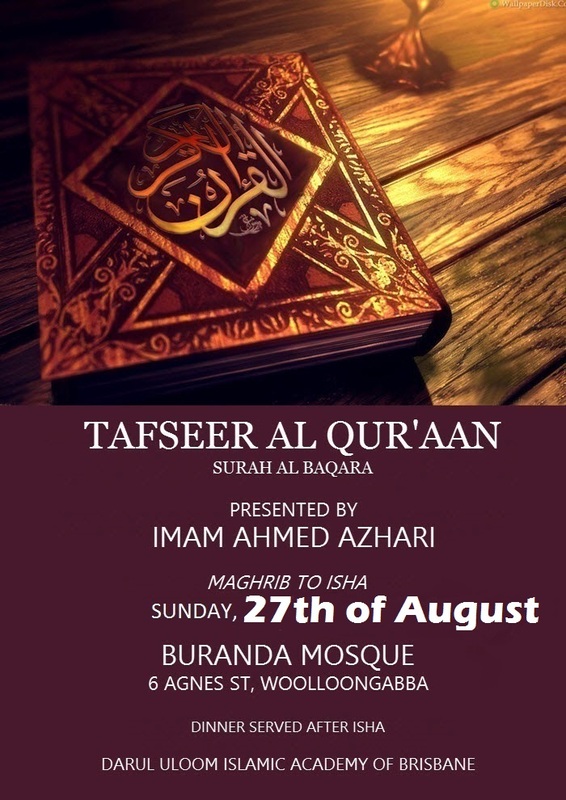 USA: Mohamed Omar, executive director of the Dar Al Farooq Center in Bloomington, on Sunday condemns a fire-bombing that occurred at the mosque the previous day. No one was injured but the office of the imam was badly damaged. Dozens flocked to show support Sunday for a Bloomington mosque that was fire-bombed earlier in the weekend, an incident being investigated by the FBI and which Gov. Mark Dayton is unequivocally calling a terrorist attack. An explosive device apparently was thrown through the office window of the mosque�s imam at the Dar Al Farooq Center about 5 a.m. Saturday, according to authorities. As many as 20 people were in the building at the time, but no one was injured in the blast and resulting blaze. �This is a terrible, dastardly, cowardly, terrible act. � It�s a crime,� Dayton said during a visit to the mosque Sunday. Dayton was part of a political delegation that visited the mosque Sunday. Others in the group included U.S. Rep. Keith Ellison, the first Muslim elected to Congress, and Minnesota Rep. Ilhan Omar, the nation�s first Somali-American lawmaker and a Muslim. UK: A Mo Farah win in this stadium, in London, is a colossal event, audible across the city he has always called home. And this victory was his most resounding, as his younger rivals tried to break him in a test of stamina but still could not dethrone him. 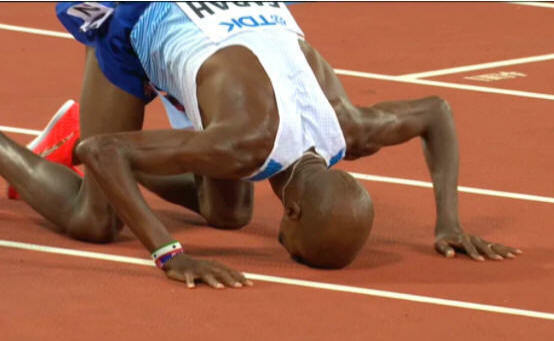 Farah�s 10th consecutive global track distance title, at 34, was hailed as his best ever. He leaves 10,000m running with a classic performance, made in part by the bravery of Uganda�s Joshua Cheptegei, who chased the defending champion all the way to the line. FRANCE: Muslim woman who rented a private vacation residence in France was reportedly made to pay �490 (US$575) because she swam in the property's communal pool while wearing a burkini. 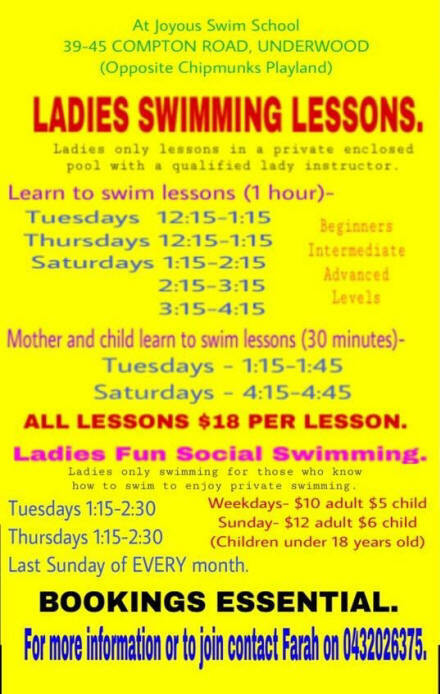 The owner said the pool had to be emptied and cleaned after her swim. The woman, referred to as 'Fadila' by United Against Islamophobia in France (Le Collectif Contre l�Islamophobie en France, CCIF), rented the house near Marseille with her husband and three children. The husband refused to pay, stating that the pool was never emptied and that it was functional the next day. That refusal prompted the owner to keep the couple's �490 deposit without producing any sort of invoice for pool treatment or other charges. �I was disappointed, shocked, wounded by the fact that someone could be so hypocritical and wicked because of a burkini,� said Fadila. 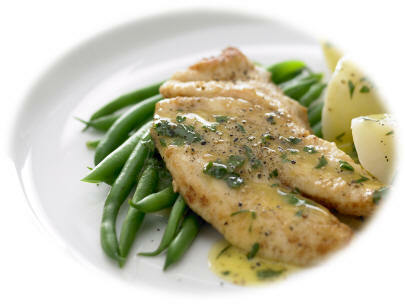 KB says: Any white flesh fish fillets are suitable for this dish but John Dory is perfect. Combine the above and heat until it sizzles then remove from heat and add the chopped parsley. 1. Cut, wash and dry the fish with a paper towel. 2. Make a paste with Corn flour, salt, pepper, fish spice, chillies and lemon juice. 4. Dip fish in flour, fry in hot oil. 5. Place fish in an oven proof dish and pour lemon butter sauce over fish. 6. Grill for 10 mins just before serving. Raising daughters can be quite a challenge. I have a teenage daughter and I write this column today with utmost respect for all parents raising daughters. It is vital that we respect and understand them first before we expect them to respect and understand us. As parents, we may have the benefit of age, experience and sometimes vocabulary, however, we too are children at our core of being and we have the ability to relate to most or all of the emotional ups and downs that our daughters experience daily. We expect our daughters to respect us. The real question is: Do we respect our daughters? Are we constantly expecting them to toughen up, or soften down, or do as we say? What strategies do you use to cope with your daughter�s mood swings, tantrums, demands and emotional meltdowns? Our daughters are future leaders of this world. We need to put our ego aside and raise them with sensitivity, compassion, empathy, respect and understanding. There is no doubt that you love your daughter unconditionally. However, the following strategies, when implemented appropriately, may strengthen your relationship with her. Do try it. 1. Talk to them. Put away your gadgets, look them in the eye and connect with them verbally. A great way to start is to ask an open ended question which invites an elaborate answer. 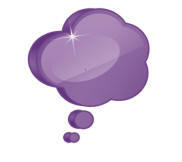 For example, �What were some of the things that you did or that happened today that made it a wonderful day for you? 2. Listen when they reply. LISTEN. Do not formulate a response while they are speaking. Do not cut them off while they are speaking. Become fully engaged. Observe their body language. A lot is communicated through body language. 4. Speak well about those they love. For example, you may not be close to your in-laws but that does not mean your child has to inherit your opinions about them. Respect their love for them. Speak well about those they love. 6. Do not bring up past behavioural issues when addressing a new issue. Telling them you can no longer trust them because they lied to you last year about a fake Facebook account is NOT going to resolve anything. Instead, have a respectful discussion about having boundaries around internet usage. 7. Show good manners so that they emulate good manners. Saying �Please�, �Thank you�, �I�m sorry� to your child does not mean you are weak. In fact it displays good manners and your child will learn to treat you and others with the same manners. 8. NEVER laugh at their mistakes, NEVER belittle them and NEVER insult them. Doing these will hurt them and scar them for life. You only have to access your own unhealed childhood pain to realise that somewhere deep inside you is a memory of an adult who may have laughed at your mistake or insulted or belittled you. 9. �I am big, you�re small...I�m right, you�re wrong� - NEVER imply or say this. Your children are human beings created by ALLAH and deserve the same respect and joy as you or any other human being on earth does. 10. Explain yourself clearly when you set boundaries. If you need to prohibit something, get them to sit and discuss the best strategies that will benefit the entire family. Show them you treat them with fairness and that it is a home with love and understanding, not a house with a �dictator�. Try getting out for regular walks as it can help lower the risk of a heart attack, stroke or heart failure. Studies prove that if you keep challenging yourself by walking further and faster, it will benefit you even more. your overall health. Ideally, you should aim to get your heart rate up while walking. pressure, high cholesterol, and diabetes. 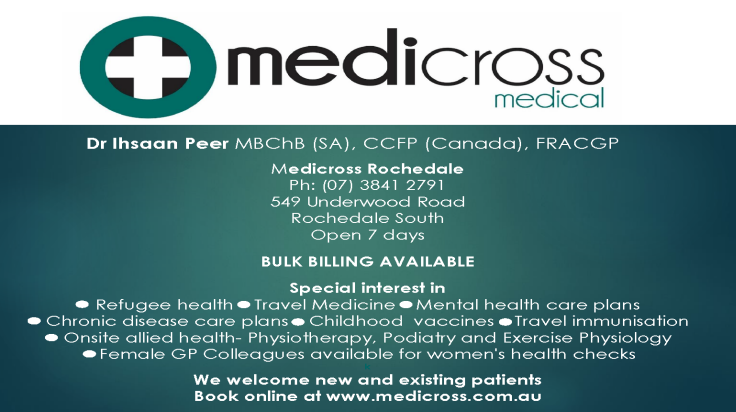 Warmer weather is not that far away � get your walking shoes on and get moving. Mrs. Jallaludin casually calls her husband at his office one afternoon. Mrs. Jallaludin: Salaams habibi, how are you? Mrs. Jallaludin: What did you have for lunch today? Jallaludin: Don't you have anything else to ask? You have only silly questions like what did you eat ... what suit are you wearing... whom did you meet.... what song did you listen to etc etc...!! Mrs. Jallaludin: _Oh!....!!! Ok Ok, then tell me, how should the Federal Reserve fight these inflationary trends with minimum intervention in the Money Markets? 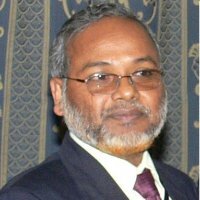 And what should the role of Finance Ministry be to control inward Foreign remittances...? Jallaludin: (after few seconds silence).... I had Daal Chawal with curd, and salad .....!! 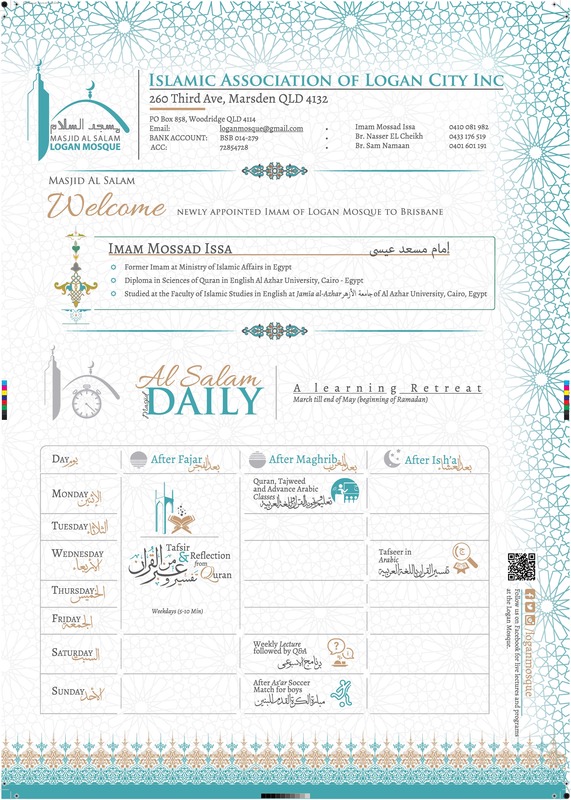 The [Muslim] believers, the Jews, the Christians, and the Sabians � all those who believe in God and the Last Day and do good� will have their rewards with their Lord. No fear for them, nor will they grieve.